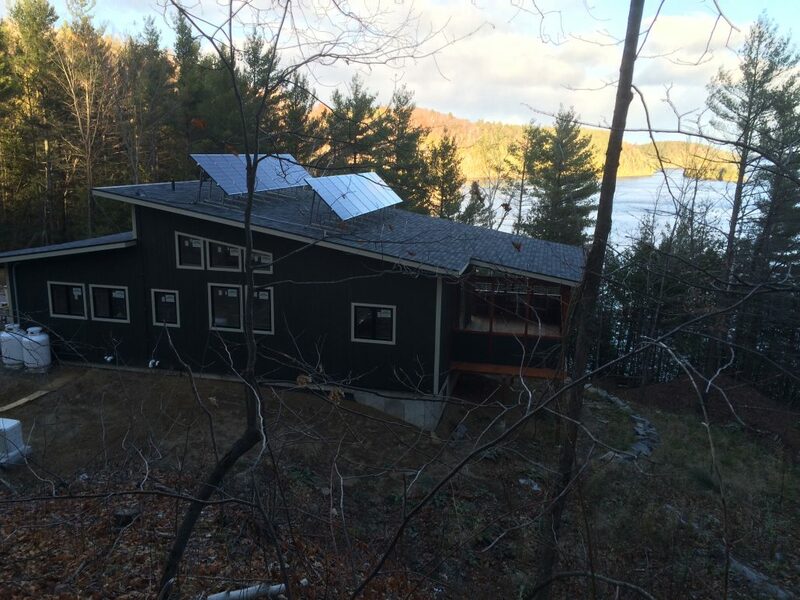 Off-Grid home – Quantum Renewable Energy Inc. This 2000 sqft building is currently used as a four-season cottage with plans to transition to a full-time residence in the near future. The cost of running hydro out to this site was prohibitive. 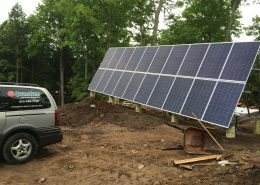 Solar was less expensive than bringing in hydro, and moving forward the customer pays no utilities. 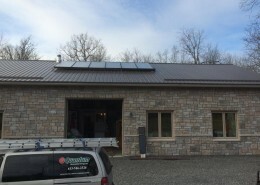 This 4.2 kW system was installed fall of 2016. 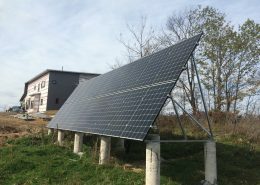 It consists of 16 – Canadian Solar 265 watt modules on a 60 degree angle roof rack. The 60 degree angle promotes snow shedding and maximizes power production through the dark winter months. The inverter system is a Magnum PAE 4448 pure sine wave inverter, which delivers 240 volt AC to supply all house loads. An 8 kW propane generator supplies backup energy during the winter when there is insufficient solar input.